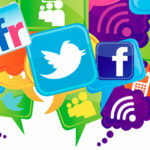 Happy Social Media Day from The Monson Law Firm! In its short life, social media has redefined how people interact, communicate and share with family, friends and the world. Click here to view pictures! 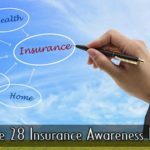 The Monson Law Firm would like to recognize National Insurance Awareness Day which is observed each year on June 28. This day was created as a day to review your insurance coverage. Insurance offers security, covering loved ones and recovering losses in the event of damage, illness or death. Don’t forget to take some time today to look over your insurance policies! Click here to view pictures! 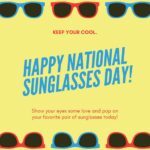 Happy National Sunglasses Day from The Monson Law Firm! Wearing sunglasses is more than just a fashion statement, they help protect you against the dangers of UV exposure. Click here to view pictures! The Monson Law Firm attended the Baton Rouge Chapter of Professional Insurance Agents June lunch meeting at Oak Lodge. 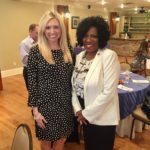 Our Marketing Director Ann’Lee Earles, CISR, CPIA is pictured with guest speaker, Mayor- President Sharon Weston Broome of Baton Rouge. Click here to view pictures! 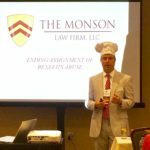 Chef Matthew Monson, Esq. was a guest speaker at the Louisiana Claims Association’s Conference and Expo. He taught a one hour Continuing Education class on the topic of “Ending Assignment of Benefits Abuse”. Click here to view pictures! The Monson Law Firm attended the North Shore Chapter of Professional Insurance Agent’s June lunch meeting at Keith Young’s Steakhouse in Madisonville. Our marketing director, Ann’Lee Earles is pictured with today’s guest speaker Deepack Menon with UPC Insurance! Click here to view pictures!